Every school in America should be empowered to take the precautions they think are necessary to keep their students safe, and we will do everything we can to help them. By rejecting this bill, House Democrats have tried to strip hope away from those who need it the most. 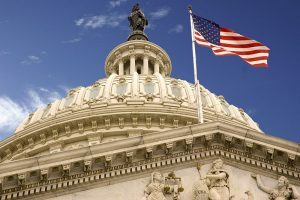 The House will consider Right to Try on Tuesday, March 13th. I look forward to swift Senate action so more Americans facing dire circumstances can find some light in their darkest moments. 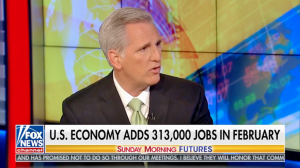 McCarthy appeared on Sunday Morning Futures with Maria Bartiromo to discuss North Korea talks, the GOP agenda, and the positive impact tax reform is having on the economy. This is Students, Teachers, and Officers Preventing School Violence Act. We will have that bill up on the floor next week.